Give ID provides organizations with tools to engage their supporters and expand their charitable footprint. Simple, easy to use tools that can be deployed to your website in minutes. Our donor-first fundraising tools make it easy to capture donations faster and create better relationships with your supporters. 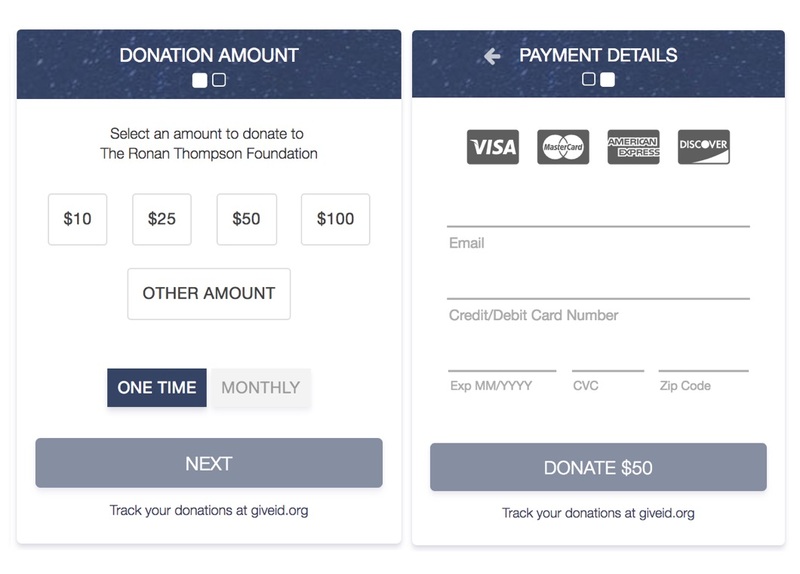 The Give ID Donate widget allows organizations to capture donations using a fully configurable, fast, two-step form. Secured by SSL/TLS. PCI compliance privided by Stripe. 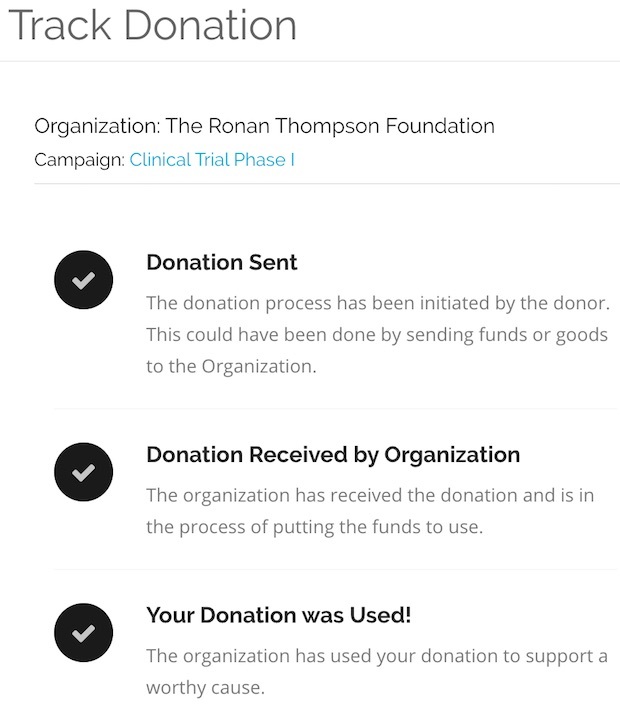 Each donation has a Give ID Donation Tracking Page where the status of the donation's utilization is displayed. 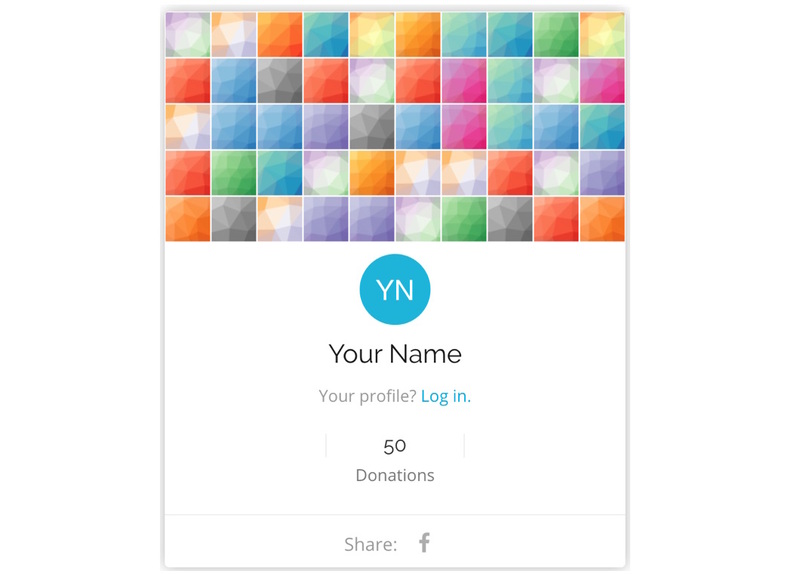 Each donor has a Give ID Donor Profile where they can visualize each donation that they make and access each donation's tracking page. Donors receive customized email correspondence after creating a one-time or monthly donation and each time an update is posted to one of their donation tracking pages. Ready to use Give ID? No matter the size of the donation, our fee is always fixed. We are commited to helping organizations keep more of the donations they generate. Just $0.30 per donation plus Stripe nonprofit payment processing fees of 2.2% + $0.30. How does an organiztion obtain the funds contributed to a Give ID campaign? Funds contributed to a Give ID campaign are immediately depositied into the Stripe account linked to the organization's Give ID account. Give ID never handles any campaign contributions directly allowing the organization to have complete control over its finances at all times. How do donors manage recurring donations? After a donor initiates a recurring donation, they will receive an email confirmation that provides them with a link that they can use to navigate to Give ID and manage their recurring donations. Does Give ID automatically send receipts? Yes! 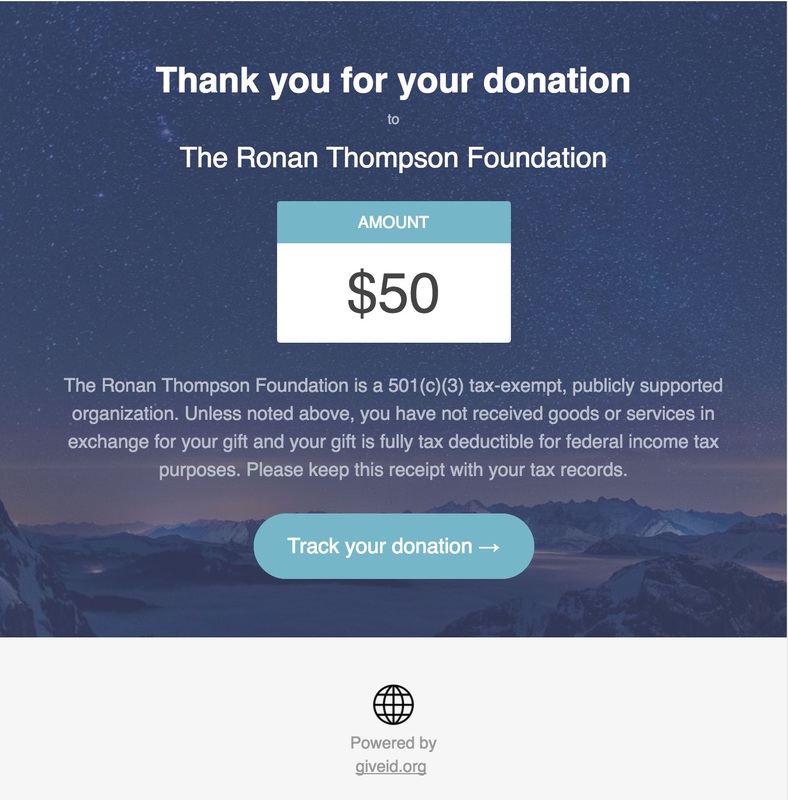 Give ID automatically sends receipts for donations, when a donor starts a recurring donation, and when an organization updates a donation tracking page. During configuration of campagins, you can customize the information that is sent along with the automatically generated emails. Does a donor have to create an account or log in with Give ID in order to donate to a campaign? Absolutely not. Donations can be made to a campaign with as little information as an email address and payment information. A donation tracking platform for donors and organizations.